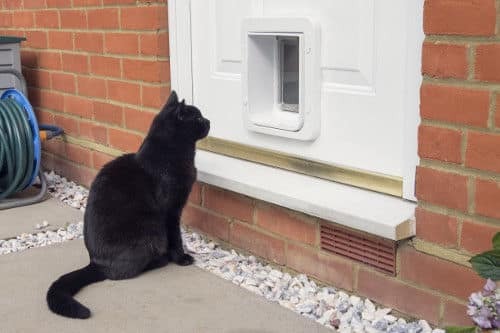 The SureFlap Microchip Pet Door Connect uses your pet’s existing microchip like an electronic door key to allow them to come and go from the home without leaving doors and windows open. The included hub and app mean that the permissions of the door be controlled on your phone, wherever you are! 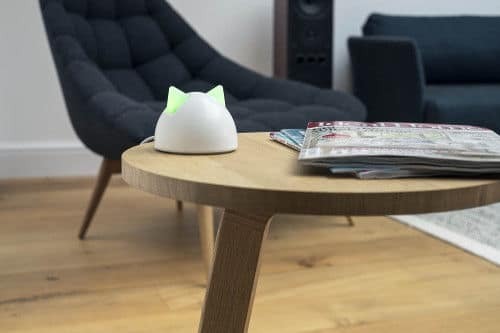 The included hub is connected to your home router with the included Ethernet cable and gives you wireless control. You can receive notifications when your pet leaves or enters the home, lock and unlock the door via time scheduling or manually. It provides alerts when a neighbourhood pet tries to access your home and it offers insights to your furry friend’s behaviour. To use the hub, you are required to have iOs9 or later and Android 4.4 or later. The app requires you to be connected to the internet (mobile or wireless broadband). Note that the Sureflap Pet Door Connect doesn’t allow you to programmes different curfews for different pets. If the door is unlocked, all of your pets can exit the home. Receive intruder alerts if a pet that isn’t registered tried to enter. When installing into glass, the SureFlap Mounting Adapter is required. This is because glass requires a circular hole. The mounting adapter ensures that the flap fits into the glass correctly with no gaps. The adapter can also be used when installing into a wall as it leaves a smooth and clean finish. If installing into a wall, you may require a SureFlap Tunnel Extender. The tunnel extender creates a longer approach tunnel for thicker walls. Each extender adds 50mm of length.